Whether you just bought a new camera, or don’t fully understand all the functions on your digital SLR, there is something for everyone in this course!!! This 3 x2 hours session is designed for beginners and intermediate photographers who want to learn more about their digital camera or a refresher. The course usually runs over 3 consecutive weeks between approx 5pm – 7pm. We have also introduced this year a couple of alternatives combining the 3 sessions; for people unable to attend evening courses or parents with children only available during school hours. Conducted in our photographic studio; we’ll go through your camera settings and cover the photography theory. On location to put into practice what we’ve learned, including one-to-one professional advise. Back to the studio to analyse your images with constructive advice, tips & tricks and a postproduction overview. Our courses are aimed to put you in control of your camera, giving you desired results. Martial is a working professional photographer, with over 35 years experience, a mentor, as well as giving workshops for Nikon Switzerland. No gimmicks, no upsells, just sound photographic advice. What camera do I need for this workshop ? – Introduction to DSLR and how to correctly use it. – Buttons & understanding the control panel. – How to care for your camera. – image size, quality, pixel ratio. – Raw files V Jpeg. – AF and Manual Focus, pros & cons. – Filters, tripods & accessories. – Image composition (The golden rules & when to brake them). – Image analysis & review. – Experience a high value photography session. – Build your skill level, create and learn to take amazing images. – Depth of field, be in control. – Adjust the exposure in relation to your subject. 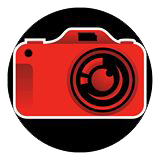 – Small group tuition, One-to-One time with a professional photographer.